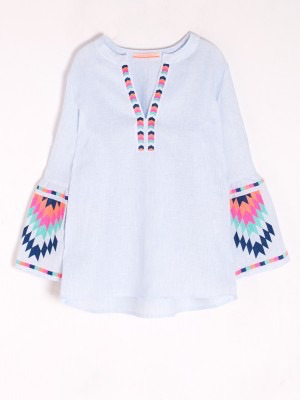 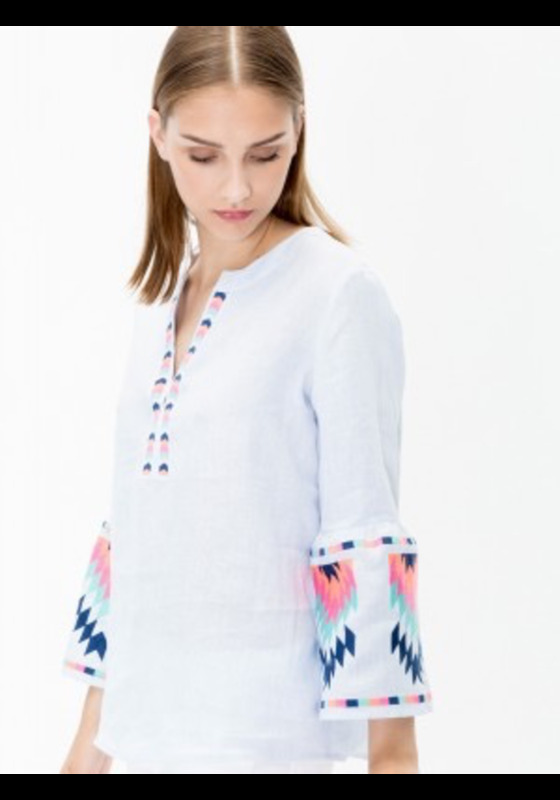 Vilagallo Colorfully Embroidered Aztec Bell Sleeve Shirt. 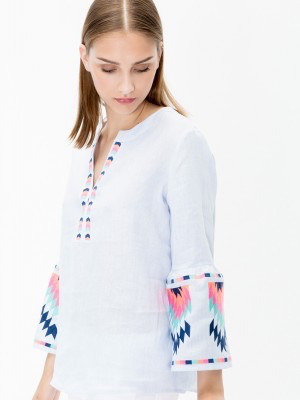 100% Cotton, Made in Portugal. 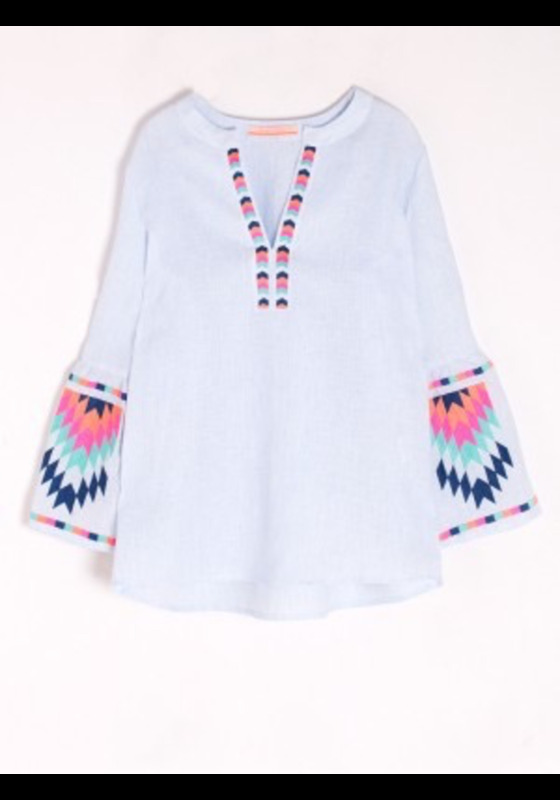 This fun shirt can be paired with jeans, white pants, or any of the colors used in the embroidery.